This adapter can deliver high-definition digital audio and video signal to the display in packet data format. It allows selective screen area updates and provides power saving features required for notebook application. 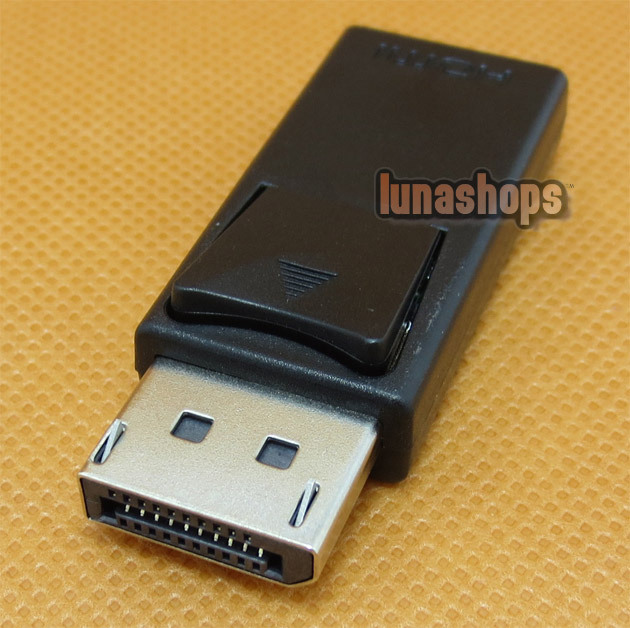 Connector: DisplayPort DP Male to HDMI Female. 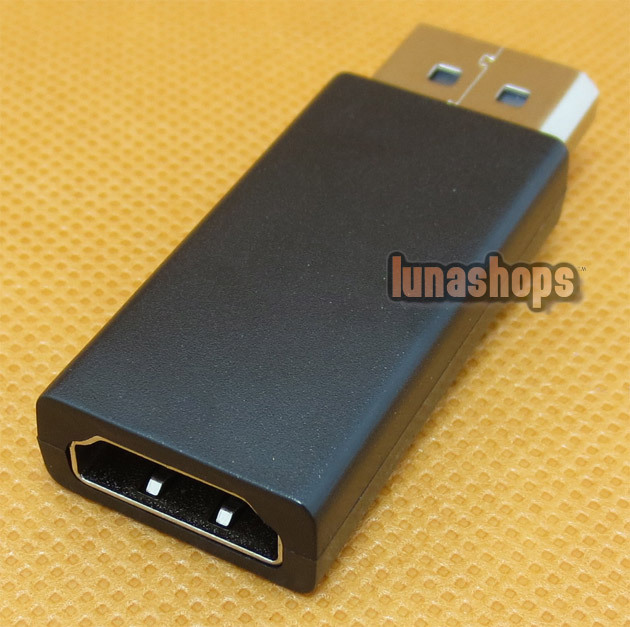 Supports conversion from DisplayPort signal to HDMI. Supports the video Bandwidth up to 10.2Gbps. HDMI input: up to 1080p. Size:5cm x 2cm x 0.8cm - 1.97inch x 0.79inch x 0.31inch.